SA/MARK/ADV/1/1/1/1/1/9/174 Wiffen Bros. new shop open adjoining Sainsbury's premises advert, . 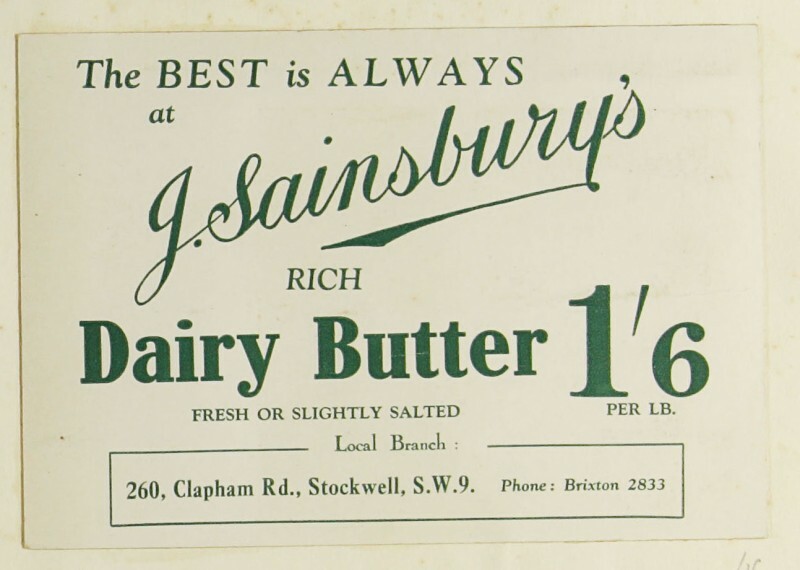 'The Best is Always at J. Sainsbury's' Butter advert, c. 1920s. 'Includes price for 'Rich Dairy Butter Fresh or Slightly Salted'. 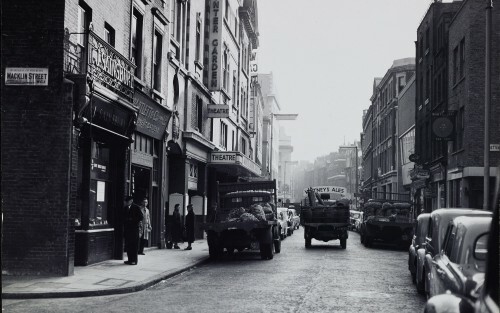 Branches mentioned: Stockwell (260, Clapham Road).